Neucraft Models released two single figure kits posed to examine an abandoned enemy tank on the battefield. One of the figures is 35002 - German Officer lately reviewed and the second figure is 35003 - WW II German NCO A - France 1940 depicting an İnfantry non-commissioned officer on a squat pose to check the track of tank. The kit comes well packed in a white cardboard box. Front side is labeled with a photo of the figure painted by Han Dong and basic info about the kit content. Figure is double secured in a zip-lock bag inside a bubble wrap bag. Figure is sculpted by Qing Yi in 1/35 scale and cast in grey resin as 2 pieces – full body with left arm and right arm with machine gun. Casting is clean in crisp details. No air bubbles, flash resin or visible seamlines on the review sample. There are no casting blocks on parts to remove and you will not need a serious cleanwork. Figure is posed checking something on a slightly squat down pose with his left hand on his thigh and holding a machine gun on his right hand. Facial details on eyes, ears,lips and hair are very clear which will make painting quite easier. Focused expression on face is nice. His headgear is M40 Feldmütze - Field sidecap. The national cockade, eagle emblem and Waffenfarbe piping on the cap (white for infantry) and are well represented. He wears German Army M36 field uniform which was the most commonly issued uniform in early years of the World War II. It was worn by all Heer units and some Waffen SS unit in early and mid-war battlefields. Uniform consists of Feldbluse - tunic in field gray with 5 front buttons, two breast and two waist patch pockets with scalloped flaps and pleats secured with metal buttons, dark bottle green shoulder boards and collar and Feldhose - trousers in stone gray with two slash, one rear and one wrist pockets. Trotters are tucked inside Marschstiefel - marching boots. 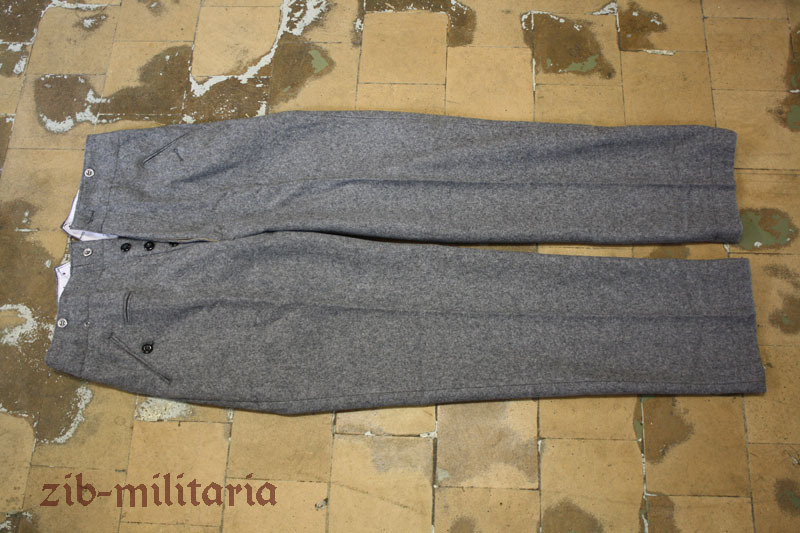 Cloth folds on jacket and trosuers, details like BeVo woven breast eagle, collar tabs, pleated pockets, shoulder boards and metal buttons, baggy look of the trousers are well defined. His personal gear is cast on the figure. He has a canvas MP40 triple ammo pouch on the left side attached to his belt. Details like three pockets with fold over top flaps, leather straps, loops and studs are well defined. A leather M35 Map case is carried on the right . It shows nice details on pencil holders, small pocket for items and front flap cover with strap. On the left back, he carries a P08 Luger Hardshell Leather Holster. Right arm is given as a seperate part and makes a good fit to the shoulder. He carries a MP40 Schmeisser submachine gun, grabbing the 32 round magazine. 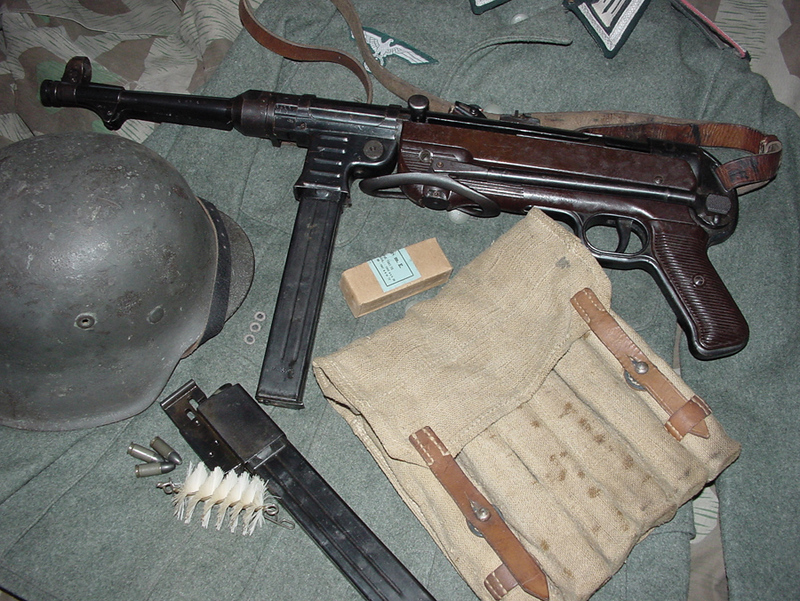 Machine gun details are well defined and gunsling is cast on the weapon. 35003- German NCO is a nicely sculpted, flawless resin cast and easy to assembly with two parts figure that can be used together with 35002- German Officer in a France 1940 checking an abandoned tank scene or can be also used for different purposes. Highs: Nice sculpt and cast. No casting blocks on parts. Ease on assembly with less parts. Gunsling cast on the machine gun. Verdict: Highly Recommended for WW II modelers. It makes a good couple with 35002.
this german soldier represent one that invade france in the spring 1940. Yes, just like the article says. Captain Obvious does it AGAIN!